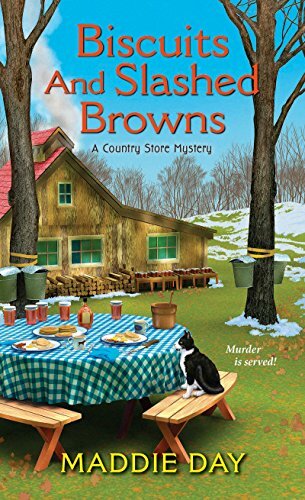 I really enjoy the writing of Maddie Day/Edith Maxwell, and this installment in the Country Store Mystery Series did not disappoint me. I like visiting the community of South Lick, IN and all of it's inhabitants. Robbie is an exceptional protagonist and very well developed character. She seems to always find trouble, even though this time, she was not the one to find the body of the murder victim. The murder victim is an academic from Boston who is in town for the National Maple Syrup Festival and Robbie's best friend, Christina, is the number one suspect. So of course, Robbie has investigate and find out who the killer is. There were several who could have been the killer, but the clues keep pointing to Christina, so Robbie has her hands full. And not just with the murder, but also with arranging a breakfast-themed cook-off for the festival. 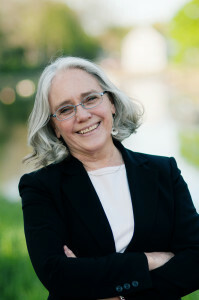 I thought this was a well written book, as are all of Maddie Day's books. I was enthralled from the beginning and it kept my attention throughout. I was surprised by the killer's motive in this one. Even though this is part of a series, if this is he first that you read of the series you will not be lost.